Harman Kardon Allure is an Alexa-powered smart speaker | What Hi-Fi? The Harman Kardon Allure is just the latest in a long line of wireless smart speakers to be controlled using Amazon's virtual assistant. 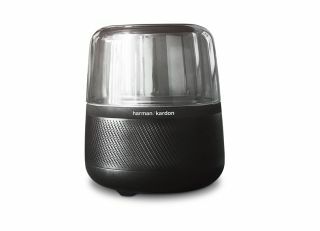 360-degree sound is delivered by speakers and an integrated subwoofer, with Harman claiming it delivers a "refined and powerful audio performance." Allure is Bluetooth-enabled, and will cost £250 when it goes on sale at the end of the year.